sharethis: With the new year upon us, many bloggers will be looking to tweak & cleanup their design while others may be ready to start the new year with a new custom template. Just so you're covered for the new year, below are 20 free Blogger Templates that are sure to spice up your blog to start the new year. 1. 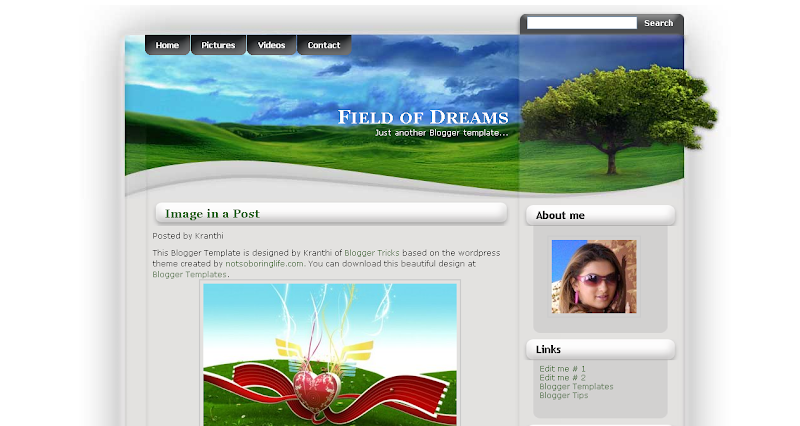 Field of Dreams - Adapted from a Wordpress theme, featuring 2 columns & 1 right sidebar. 2. 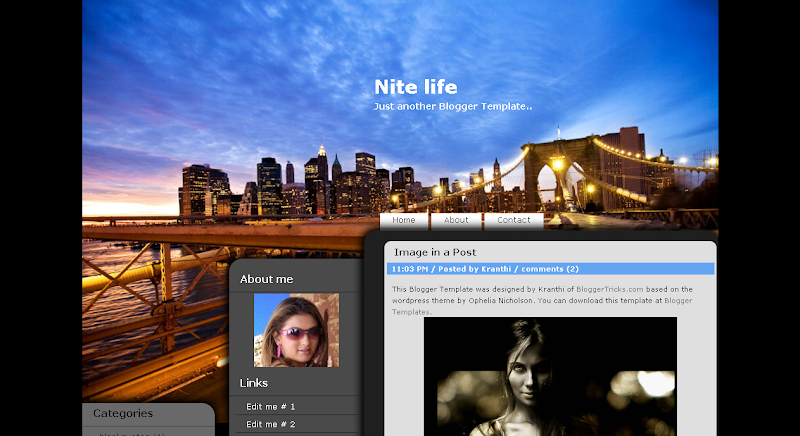 Nitelife - Adapted from a Wordpress theme, featuring 3 columns & 2 left sidebars. 3. Charcoal - Adapted from a Wordpress theme, featuring 2 columns & 1 right sidebar. 4. 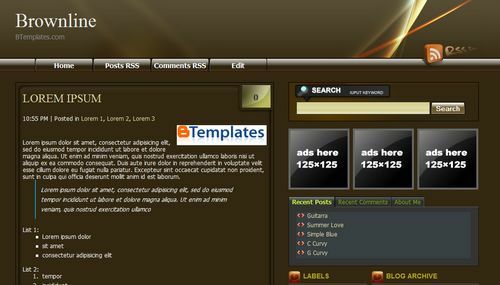 Professional Template - Flexible column widths & ability to change colors & header image without any coding. 5. Darken - 1 sidebar to the right and 3 columns at the bottom. 6. Shiny - Choose between 3 or 6 columns. Features the read more function to shorten posts. 7. Greenery - 3 sidebar columns on the right, 3 columns below the post & 3 additional leaderboard-size columns. 8. Froggy - Features 3 or 6 column with 3 columns below the post. 9. Ultimatum - Features 3 sidebar columns on the right, 3 below the post & 3 leaderboard-size columns. 10. Agenda - 3 columns, with a sidebar on the right and left. 11. 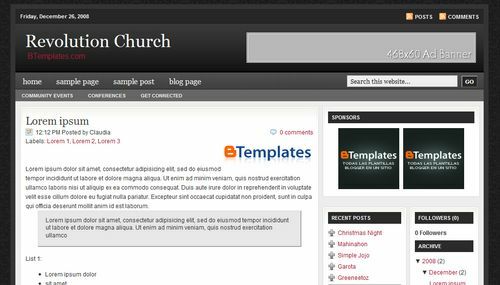 Revolution-Church - Web 2.0 template adapted from Wordpress theme, featuring 3 columns with 2 right sidebars. 12. 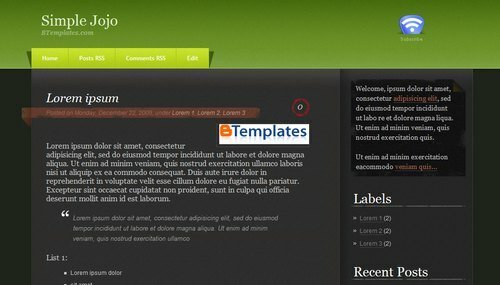 Simple Jojo - Adapted from Wordpress theme, featuring 2 columns and 1 right sidebar. 13. 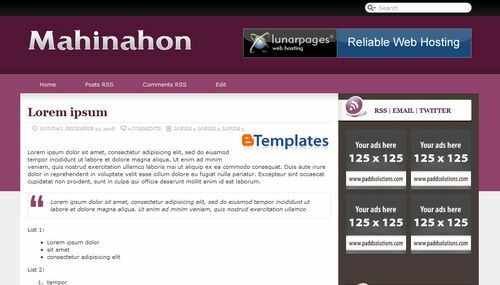 Mahinahon - Web 2.0 template adapted from a Wordpress theme, featuring 2 columns & a right side-bar. 14. Brownline - Web 2.0 template with 3 columns & 2 right sidebars. 15. Green Tech 2 - Web 2.0 template adapted from Wordpress theme, featuring 3 columns & 2 right sidebars. 16. iWork Template - Web 2.0 template with 2 columns and 1 right sidebar. 17. 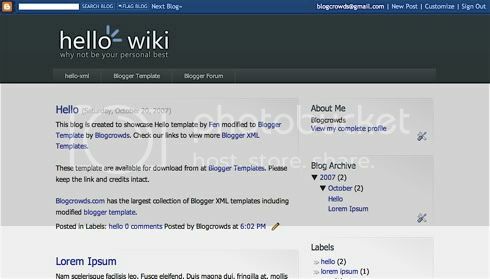 Hello Wiki - 2 column template with 1 right side-bar. 18. 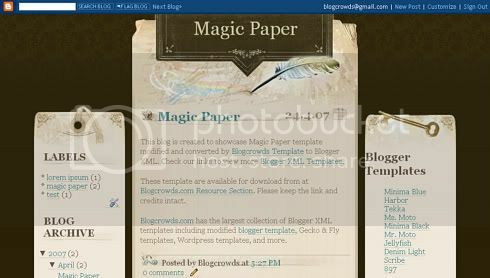 Magic Paper - 3 column template with 1 right and 1 left sidebar. 19. 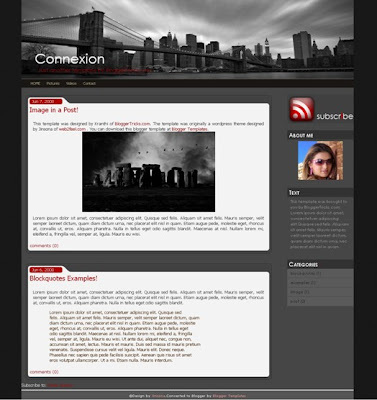 Connexion - Adapted from Wordpress theme, featuring 2 columns & 1 right sidebar. 20. Communist - Adapted from a wordpress theme, featuring 2 columns & 1 right sidebar. 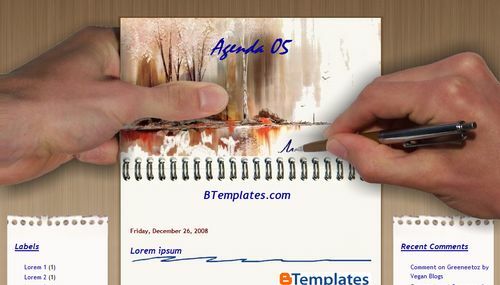 Templates used in this listing were found at the following sites, Blogger-Templates, BTemplates, Our Blogger Templates, Blogger Tricks, Blogcrowds & eBlog Templates. 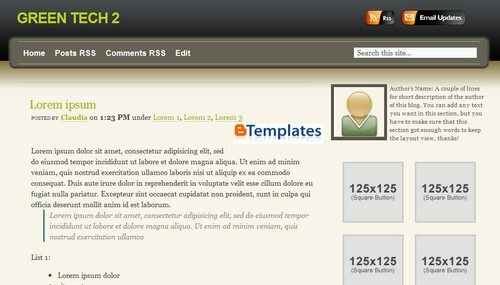 Do you have any great custom blogger templates to add? Have you tried any of the ones above? I hope you've enjoyed the listing.